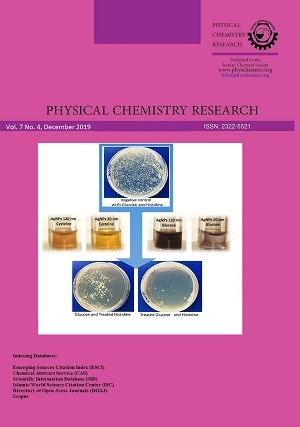 In this work, the properties of 2,4-dioxo-4-phenylbutanoic acid (DPBA) and some of its derivatives have been investigated using quantum mechanical calculations in the gas phase and solution media. The electron delocalization and intramolecular H-bonds substantially affect the potential energy surface. 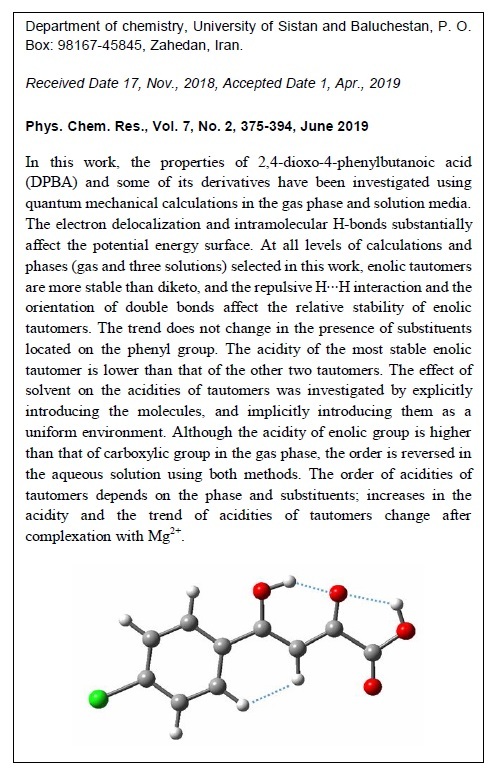 At all levels of calculations and phases (gas and three solutions) selected in this work, enolic tautomers are more stable than diketo, and the repulsive H∙∙∙H interaction and the orientation of double bonds affect the relative stability of enolic tautomers. The trend does not change in the presence of substituents located on the phenyl group. The acidity of most stable enolic tautomer is lower than that of the other two tautomers. The effect of solvent on the acidities of tautomers was investigated by explicitly introducing the molecules, and implicitly introducing them as a uniform environment. Although the acidity of enolic group is higher than that of carboxylic group in the gas phase, the order is reversed in the aqueous solution using both methods. The order of acidities of tautomers depends on the phase and substituents; increases in the acidity and the trend of acidities of tautomers change after complexation with Mg2+.